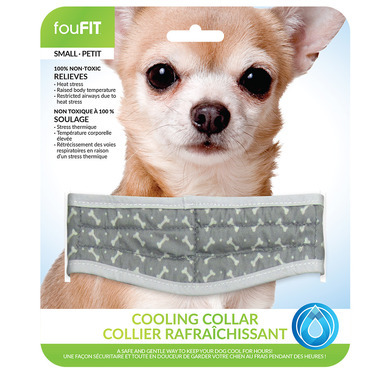 Keep your furry friends cool on those long summer walks with the FouFit Cooling Collar. When you submerge the cooling collar in water, the special gel beads inside the product will begin to absorb and hold the water as it transforms into a gel. As the water slowly evaporates, it draws heat from your dog and cools them. Since dogs do not have sweat glands, the cooling collar mimics that process of cooling through evaporation. 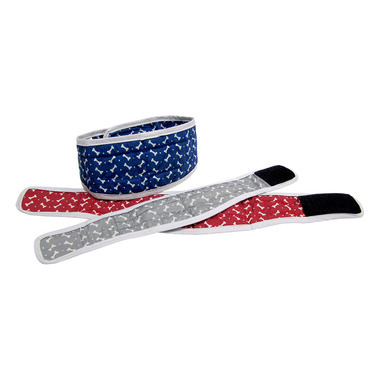 The cooling collar stays cool for up to 3 days!